It didn't take much investigating to establish that the weekend that I had highlighted as available was the weekend which featured one of the premier meetings in the Maltese racing calendar: the President's Cup Final Day. The holiday was booked, and on November 13th we boarded a plane and headed for the sun for a four day break. Our flight arrived in the sole airport on the island at 12:15pm, with the first race at the track scheduled for 1:15pm. 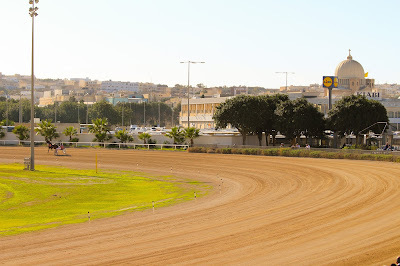 Rather than waste time trying to travel to the hotel and then back to the track, we were driven straight to Marsa Racetrack whilst our luggage was taken to the hotel. Unbeknownst to us both, we had been dropped off at the 'back entrance'. Not knowing any better, we wandered down the narrow street, dodging horses and sulkies walking to the track entrance, and were pointed in the direction of the entry gate by a gentleman sat in the street. I genuinely didn't know what to expect as I handed over the €10 for us both to enter and we walked through the turnstiles. The five eighths of a mile track was banked on the bends, with two long straights. A grandstand topped with a bar sat to the left of the gate we'd walked through, with a large flat viewpoint from which I was able to get some good photos of the race finishes. Six bookmakers were housed underneath the grandstand, facing the winner's circle. The on-course 'tote' was located to the right, facing the winner's circle from another direction, and past this was a second, smaller grandstand. Towards what we finally realised was the main entrance (near the Lidl in the photo) was the third and smallest open grandstand. The stabling area and warm up track were furthest to the left, almost hidden from sight. With less than half an hour before the first race, the place was almost empty. I thought perhaps racing in Malta is similar to our experience in Florida; great racing and facilities, but no crowds (I assumed it was being televised on the PMU, but found out at a later date that only 2 days per racing calendar are shown on the PMU). Before long, the place began to fill up, and during the course of the day more and more people arrived. By the time the big race went off, the place was full. There were 9 races, with 120 horses spread across them. I was surprised when looking through the programme that so many of the horses racing weren't Trotteur Francais. I had assumed that most, if not all, of Malta's racehorses were imported from France. There were Swedish, Dutch, Italian, Danish, German and American trotters alongside the French trotters. The largest field of trotters was 16; the smallest was 10, which was the feature race - the President's Cup Final. Again, I was so busy taking everything in that I didn't consider that perhaps the Maltese President would attend. 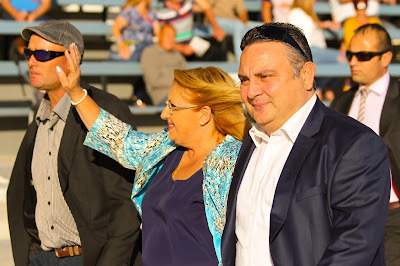 I was busy taking photos of horses warming up on the track when the crowd began to part and the President passed through, waving at everyone. Following a lengthy presentation whereby each of the ten drivers competing in the final was presented with a momento by the President, and the national anthem was sung, the President went around the outer rail of the winner's circle chatting to the public. Smarty and I found ourselves in the right place at the right time, and ended up talking for a short while about our love of horses, and strangely, Scottish football fans (she had just returned from a working visit to the UK, and England had beaten Scotland in the football two days earlier which resulted in some Scottish football fans behaving badly in Trafalgar Square). We weren't expecting that!! We hadn't had much luck betting in the earlier races, opting to support the bookmakers rather than the tote (a relic of a close history with the United Kingdom). I chatted to a few of the bookmakers, trying to get the inside scoop on some of the runners in the big race, but to little avail. 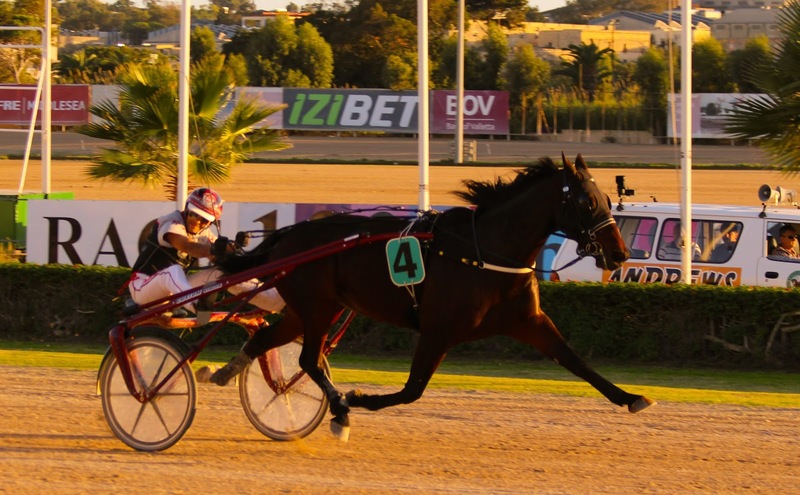 I backed a horse called 'Ouch', a 9-year-old Swedish trotter gelding who had won his last two starts with 1'15"8 and 1'16"8 km rates respectively. I'm not going to pretend like it was a purely educated selection - I liked his name. I'd only managed a second placed finish out of the first five races, so my ability to read the form guide was limited. As the bookmakers said, all the horses in this race were good, so it was even harder to select the winner. Clearly my knowledge of trotters is still in its early days, as the eventual winner wasn't even on my radar. 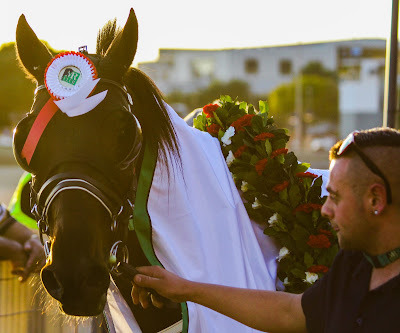 Uhal Berven, an 8-year-old French Trotter (by Corot, the sire of Three Pack who raced with success in the UK) led out and made all with Rodney Gatt at the reins. Nico Oland sat in the pocket for much of the race and looked a danger throughout, but as the field turned for home the leader wasn't for stopping and romped home as the crowds cheered. 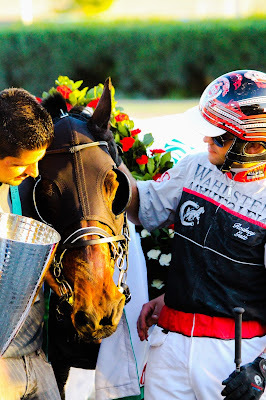 I had never experienced such celebrations, with connections of the horse and driver in the winner's circle crying, cheering and hugging each other. It really was a sight to see. Uhal Berven oblivious to all the fuss! Shortly after the race we headed off to meet our taxi, but not before nosing through some of the private stables which surround the track, often in converted garages under tall buildings. 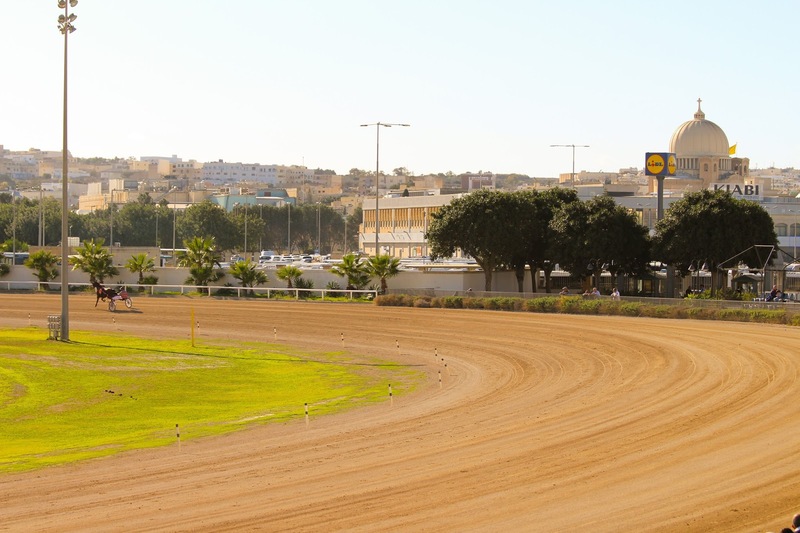 Malta as an island is densely populated, and where Marsa Racetrack is located is particularly urban. Makes sense - race where the people are so that they can pay to come through the gate to watch. The downside being that there are no grass paddocks to turn horses out. As we saw on subsequent days when exploring the island, these racehorses are turned out anywhere and everywhere in order to stretch their legs on a sunny day, including in dirt paddocks built precariously on top of buildings! 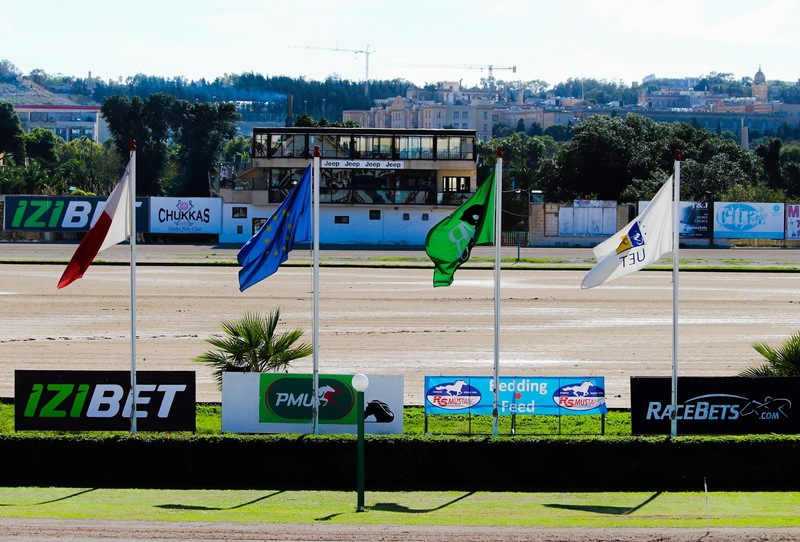 You could also pass Marsa without noticing it, but once inside it is a beautiful purpose-built arena in which to view equine athletes at peak fitness. In many ways, racing at Marsa was similar to here in the UK. 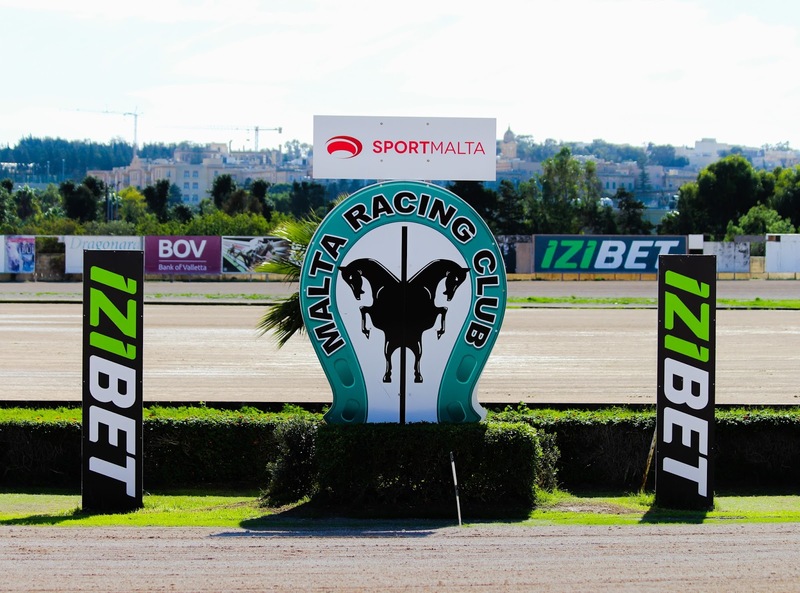 The bookmakers working alongside the tote were a reminder of the shared history between Malta and the United Kingdom. All of the races we saw used the starting car, although in Malta this was fitted with a digital clock display which counted down the minutes and seconds to post time. 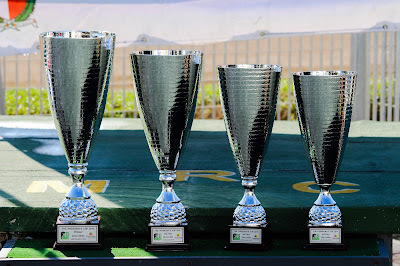 Prize money was comparable, with 'Copper' class races for €225 to the winner; 'Bronze' class races for €315 to the winner; 'Silver' class races for €360 to the winner and 'Gold' class races for €495 to the winner. 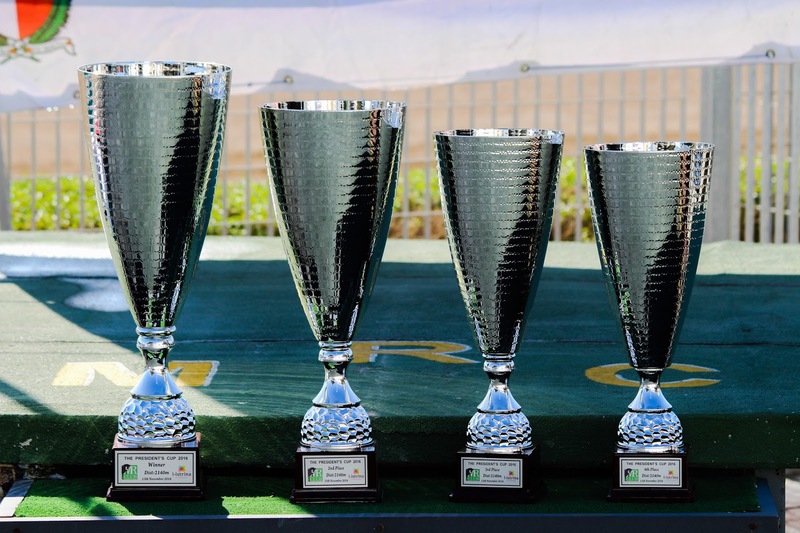 The President's Cup Final, which I would equate to our Crock of Gold Final for FFA pacers, was worth €2025 to the winner, and was classed as a 'Premier' class race. On the two days where races are shown on the PMU, the prize money is more than this, but these races are limited to Trotteur Francais which excludes a large number of horses. 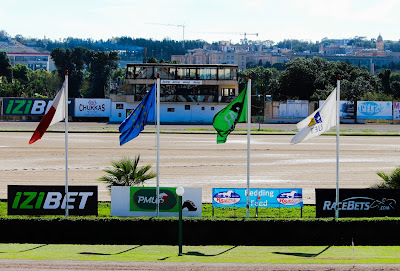 As a direct comparison, Marsa racetrack is better than any of the tracks in the UK and Ireland in terms of size and quality. The surrounding facilities are a little worn down, but the track has been kept immaculate. The fields are up to 16 horses, whereas the maximum number of runners in a race in the UK is 12 (at Tir Prince, and the Thoroughbred racecourses). I also noted the aged of some of the runners, with the oldest horse at 16 years of age. Currently the BHRC upper age limit is 14 years of age; in France it is 10. Some of these horses did not show their age at all, which is a testament to their owners, trainers and grooms. It appears that juvenile racing in Malta is non-existent, which is another difference between our two countries as the profile of stakes races for 2, 3 and 4 year olds continues to rise in both the UK and Ireland. 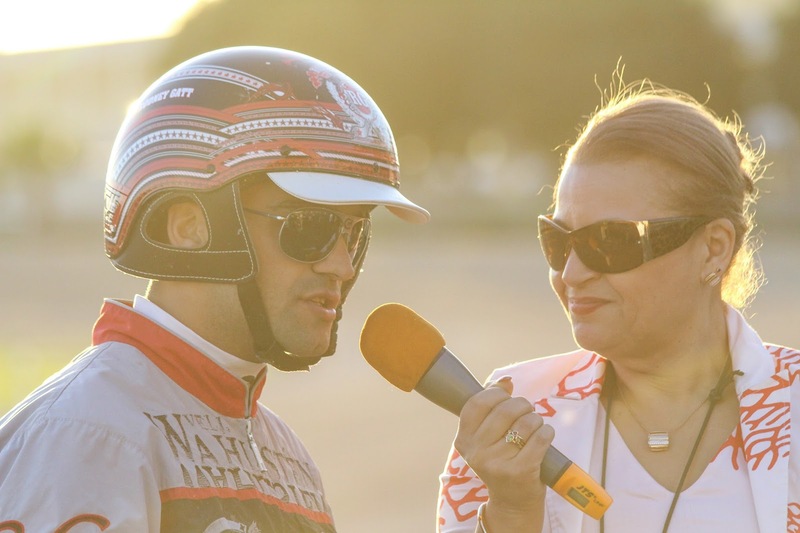 However, what harness racing boils down to, regardless of where you are, is people's passion and love for it. It is driven by the people within it, who often compete for no financial gain in the long run. 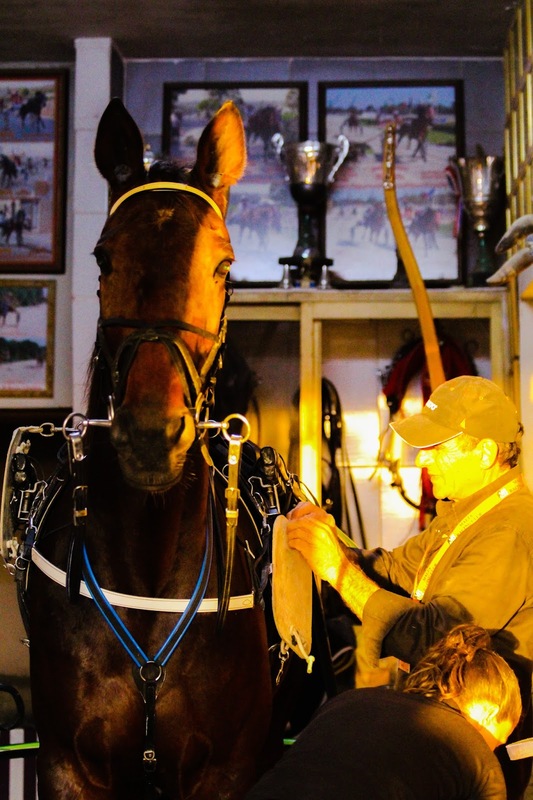 It is driven by the horses, who are trained and raced with so much care and dedication by their connections. It is driven by spectators looking for the thrill of competitive racing at affordable prices. 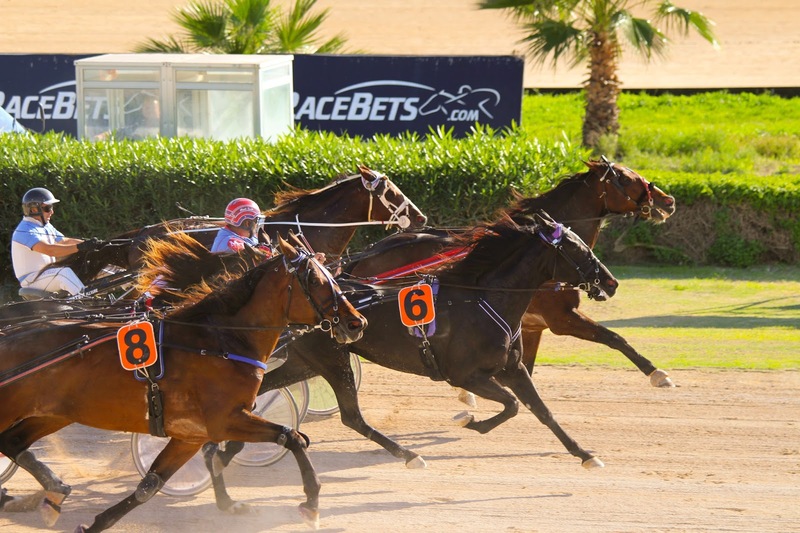 Maltese racing, at its heart, is no different to British racing. I cannot recommend visiting this beautiful part of the world highly enough.